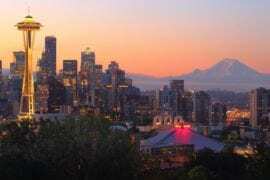 Just east of Downtown Seattle is Capitol Hill, an area jam-packed with hip bars, indie stores, top-rated eateries, and a unique atmosphere. 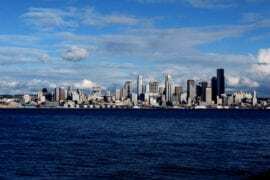 As the city’s LGBTQ hub, this neighborhood is known as Seattle’s “Gayborhood.” It is home to the Seattle Pride Parade and is bursting with gay-friendly establishments and colorful scenery. Capitol Hill’s rainbow crosswalks function as emblems of the neighborhood’s queer history. Every year people of all sexual orientation flock to Capitol Hill to experience their amazing Gay Pride Festivals. One of the largest being their annual Pride Parade held every June along 4th Avenue in Downtown Seattle. If you’re looking to attend this unforgettable event, you’ll need somewhere just as extraordinary to stay! 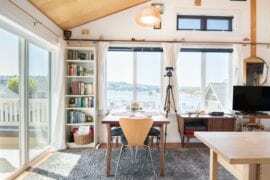 Take a look at our favorite Airbnb listings in the area so that you can focus more on the fun and less on the accommodations. 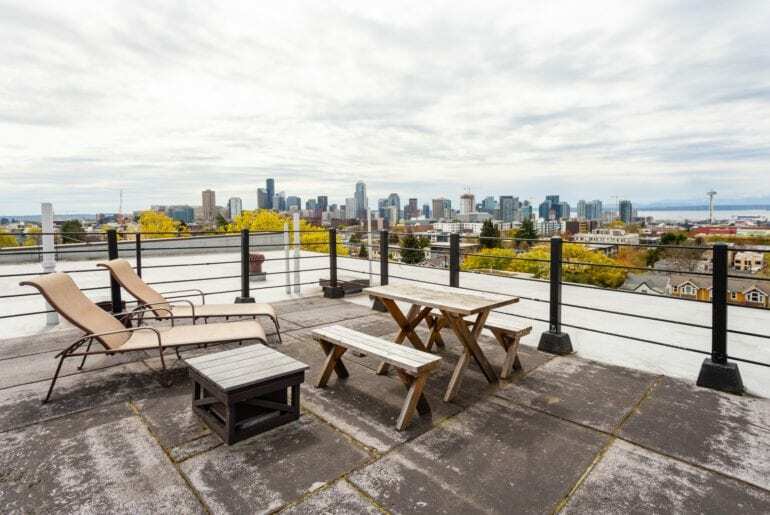 You’ll enjoy sipping your morning coffee on the rooftop of this lovely home in Capitol Hill. It’s a vibrant spot filled with amazing bars, restaurants, and local shops. 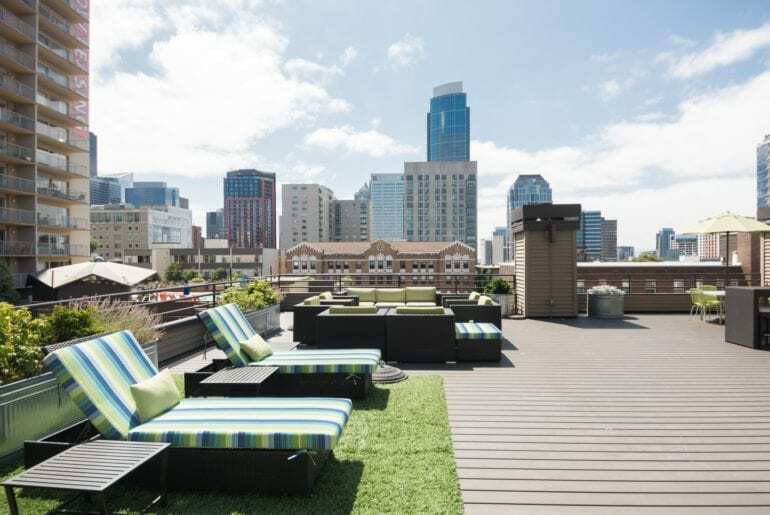 Situated in an LGBTQ friendly neighborhood with an easy walk to Downtown and the Convention Center, this rental is a steal for just $69 per night. After a day of exploration and exhausting “priding,” resort back to your home away from home with a bottle of wine just in time for sunset. This adorable studio is an owner-built space with an open floor plan and an abundance of natural light. There’s a full-sized kitchen nestled underneath the lofted sleeping area. In addition to this swanky living space, you’ll also have access to a private garden and hot tub! You’re right on a bus line, so access to Downtown and other amazing local spots is at your disposal. Prices start at $89 per night. Tucked into a lush courtyard, this cottage is a hidden gem for only $99 per night. 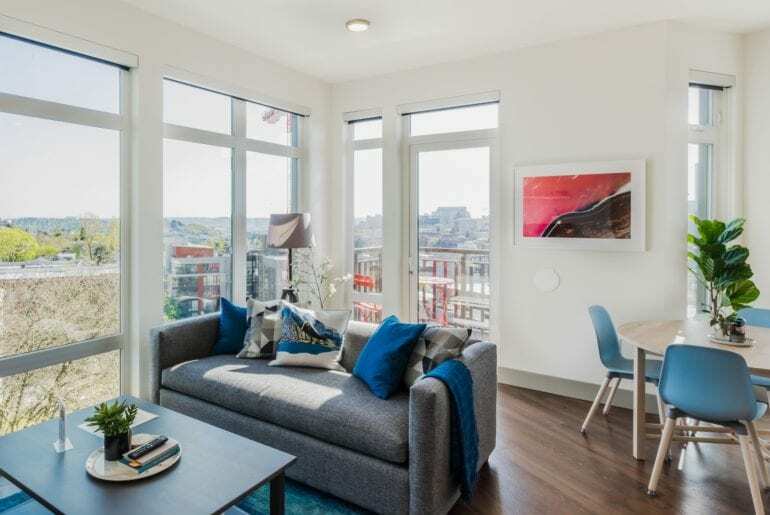 Located on the west slope of Capitol Hill, you will be conveniently located near all the vibrant attractions the area has to offer. You’ll be just minutes away from the areas hottest LGBTQ bars, the Seattle Museum of History,and the REI Flagship store! You can watch the sun rise or admire the city views from the private rooftop balcony of this vintage loft. 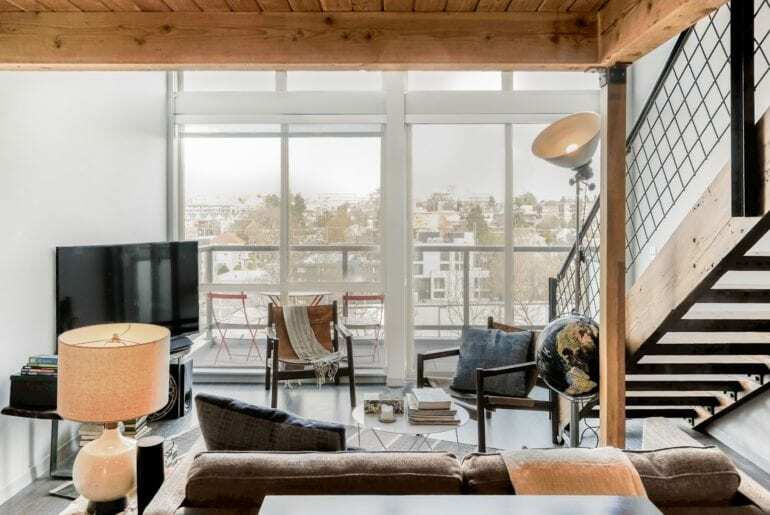 Located in Capitol Hill, this rental starts at $106 per night and melds a historic facade with cozy, modern interior and industrial-chic features. Nearby are the hottest LGBTQ bars and clubs. And just around the corner is Cal Anderson Park, the starting point for the parade. 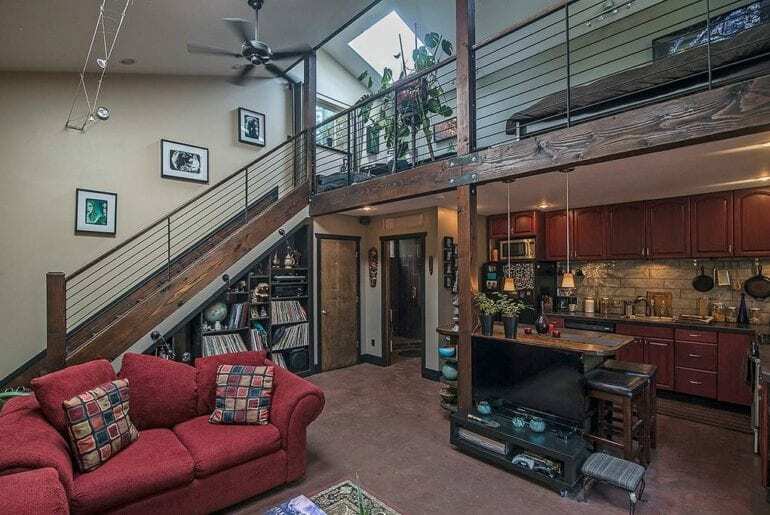 This one of a kind studio is a unique alternative to the traditional Capitol Hill rentals. 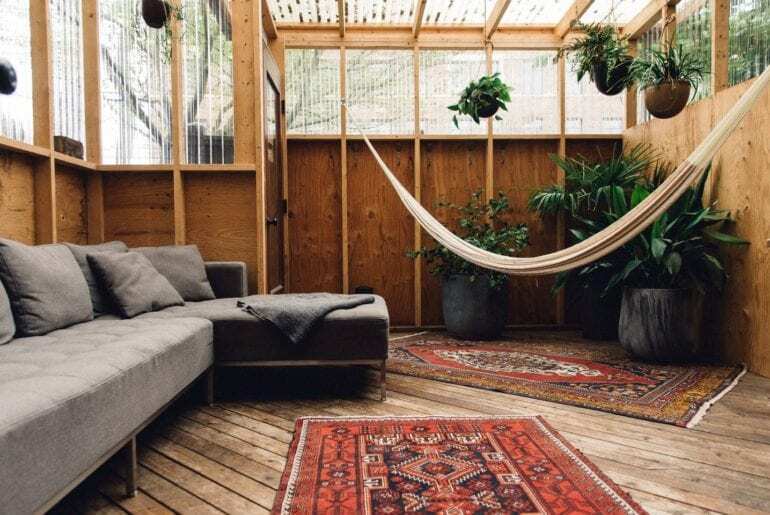 With access to a private studio and attached sun room, plants and an earthy atmosphere surround you as you take a nap in the hammock. Downtown is just a fifteen-minute walk away, putting you in the heart of great shopping and exciting nightlife! Rates start at $119 per night. Enjoy unmatched views of Downtown, Mount Rainier, and the Space Needle from this spacious penthouse. 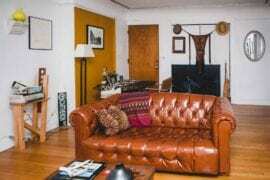 An urban oasis decorated with bold modern artwork and local finds, this home is fully equipped for your comfort. 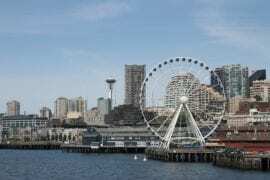 In the area are some of Seattle’s top-rated restaurants, coffee shops and bars. Known for its LGBTQ friendly locals, this is a fantastic find for $163 per night. 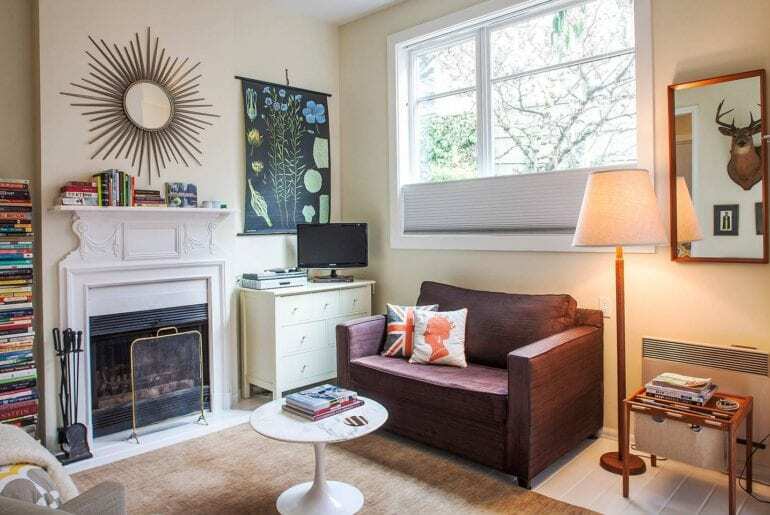 This townhouse is minutes away from the Convention Center, Pike Place Market, Westlake Station and all the LGBTQ friendly nightlife of Capitol Hill. If you’re visiting Seattle for Pride, you’ll certainly run into some familiar faces in this bustling area. 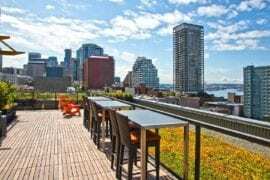 There’s also a shared rooftop BBQ area with lounge chairs, grills, and a breathtaking view. Prices start at $170 per night. 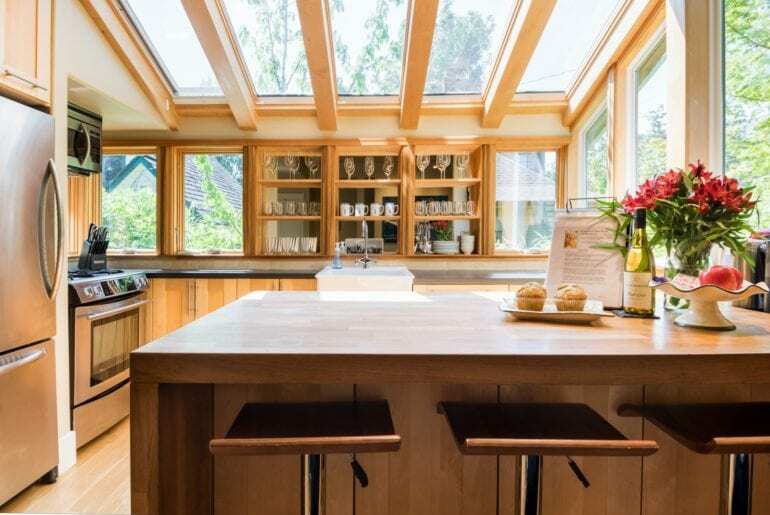 This beautiful home is in the unbeatable location of Seattle’s “best” neighborhood. 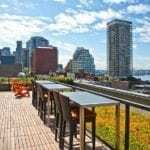 You will be in a desirable area close to the stadiums, Seattle’s best coffee shops, many top rated LGBTQ clubs and shops. You’ll love relaxing on the private patio or curling up to the fireplace after a long day. Prices start at $198 per night.